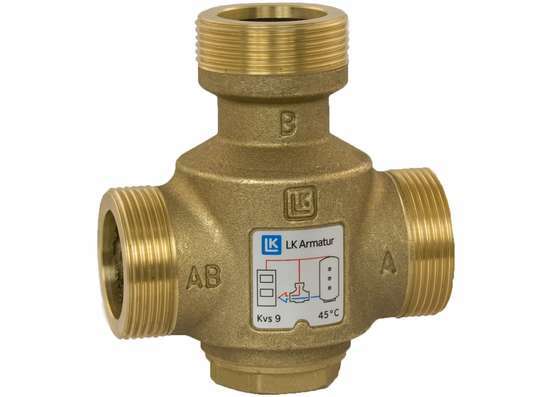 The LK823 thermostatic valve has 1 1/2” male connections. Frequently used as a heat height selection valve on thermal stores. It comes as standard with a 60° cartridge.